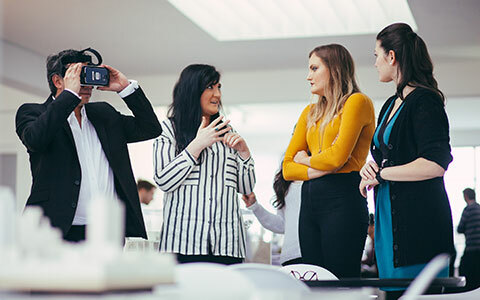 Study in state-of-the-art studios, learn from experienced, research-active experts and make connections with over 100 industry partners with our BA (Hons) Architecture course. Validated by the Royal Institute of British Architects (RIBA) and prescribed by Architects Registration Board (ARB) to give full exemption from the ARB / RIBA Part 1 examination, you will be based at our innovative Birmingham School of Architecture and Design, where you start your journey towards becoming a registered architect. We’ve helped over 80 per cent of our graduates gain jobs in professional practice. 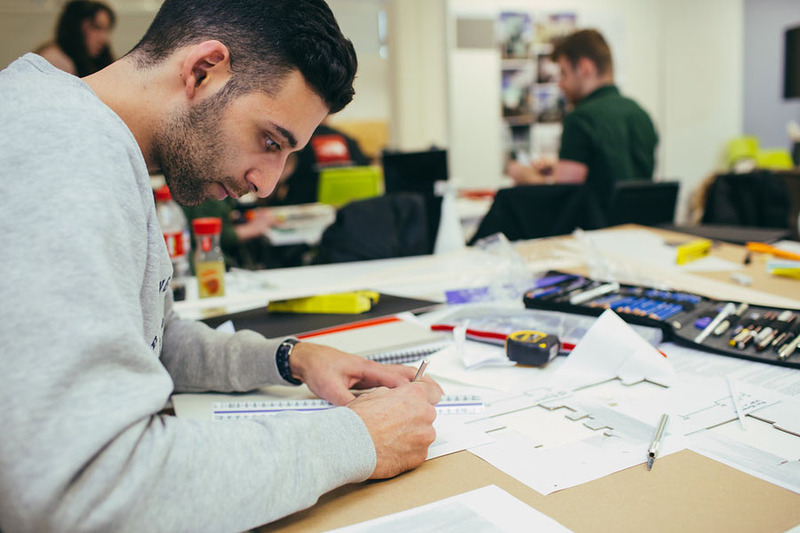 Birmingham School of Architecture and Design offers fully accredited programmes at RIBA Parts 1, 2 and 3, enabling you to fully qualify as a registered architect within one school. With the diverse architecture of Birmingham as your initial inspiration, you'll focus on urban environment and look at neighbourhoods, cities, and regional and global networks. 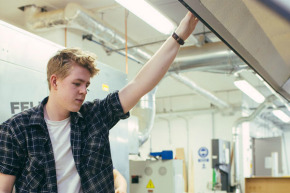 Industry connections in your second and third years help you foster direct links and contacts within practice, helping you to find work experience. We also work closely with RIBA West Midlands, the Midlands Architecture Centre (MADE), and Birmingham City Council. From the first year onwards, you will begin to construct your own online webpage of work and projects, which can then be transformed into an online portfolio and/or CV. Our recent RIBA Validation Board visit commended our links with professional practice and the supportive learning community we offer. We were also commended for our flexible approach to learning, with strong support for part-time students. We're a boutique school, accepting only 65 students each year, creating an intimate learning environment and meaning you’ll get fantastic individual support. You'll have the chance to be part of Co.LAB, a collaborative architecture and design initiative within the School working on live projects. This engagement with one-to-one scale interventions and real-world practice helps you in your learning journey to become a more rounded and responsive designer. The course goes beyond lectures and gives you great opportunities. Students from all years are offered places to attend events such as national building information modelling (BIM) events, which provide a forum for you to engage directly with practitioners and industry specialists, as well as informing you of changes in current practice. You'll also benefit from the insight of guest speakers such as Professor CJ Lim and renowned American landscape architect Martha Schwartz, together with other practising architects from firms such as Foster and Partners, Make, Associated Architects, Invisible Studio, Mole Architects, Ash Sakula and various others. Film work also plays an important part in the perception of the city, and you’re encouraged to use this medium along with a wide variety of other creative outputs drawing upon our fantastic workshop facilities. 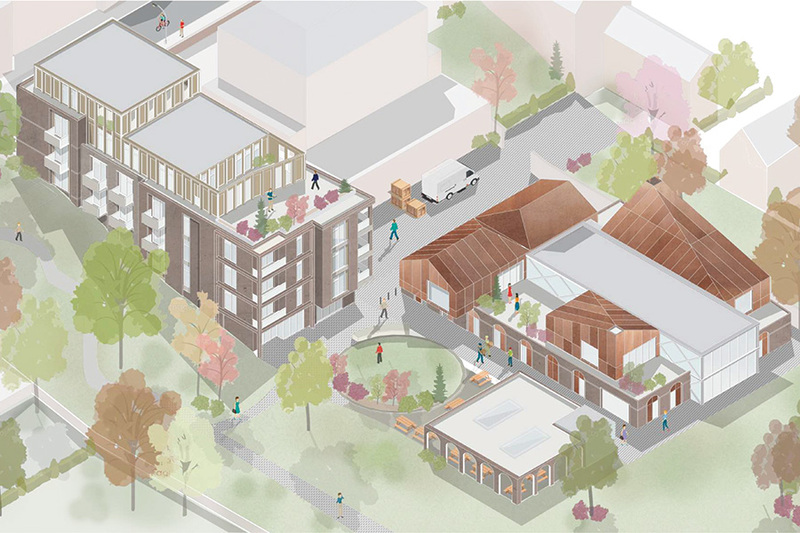 In your final year, you'll showcase your work at the Graduate Show, an event attended by practitioners where previous students have been headhunted by leading practices including Grimshaws, Hopkins Architects, Hawkins Brown and Glenn Howells Architects. 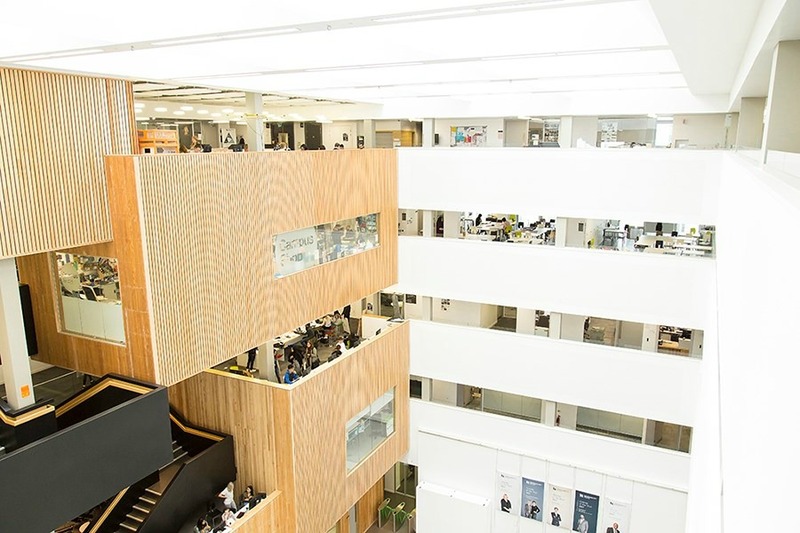 You will study in our state-of-the-art Parkside Building, which has been praised for its investment and facilities by RIBA. 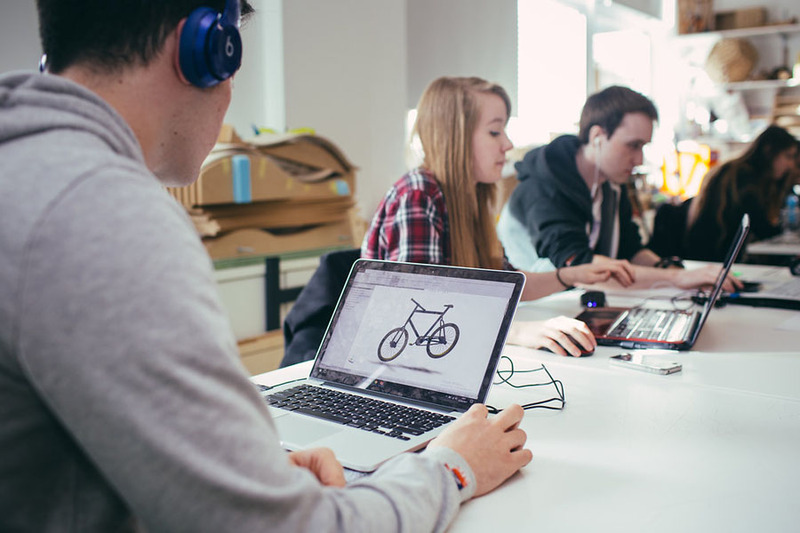 While based in Parkside, you will get sharpen your CAD and digital visual communication skills, prototyping and digital production, while also having access to a range of specialist software. Birmingham School of Architecture takes on what architecture is, and what it can be, making the school a captivating place to study. It’s a challenging but highly rewarding course that provides an invaluable platform for anyone interested in how social, cultural and environmental concerns can influence the built form and its effect on society. Validated by the RIBA and prescribed by the Architects Registration Board (ARB), our course meets and exceeds the joint criteria set out by both professional bodies, thus meeting the requirements of Article 46 of the European Directive on the recognition of professional qualifications. You will be exposed to architectural practice and live projects with professional partners, enabling you to develop your skills and creativity. Our connections with over 60 architecture firms and practitioners forms an essential part of our teaching team, as well as enabling you to embark on valuable work placements within the West Midlands, North West, London and abroad. Our intimate study environment ensures exceptional support from staff, with 90 per cent of our graduates going on to work or further study within six months of completing the course. You’ll also have the chance to attend study trips and explore international opportunities, expanding your cultural and academic knowledge. 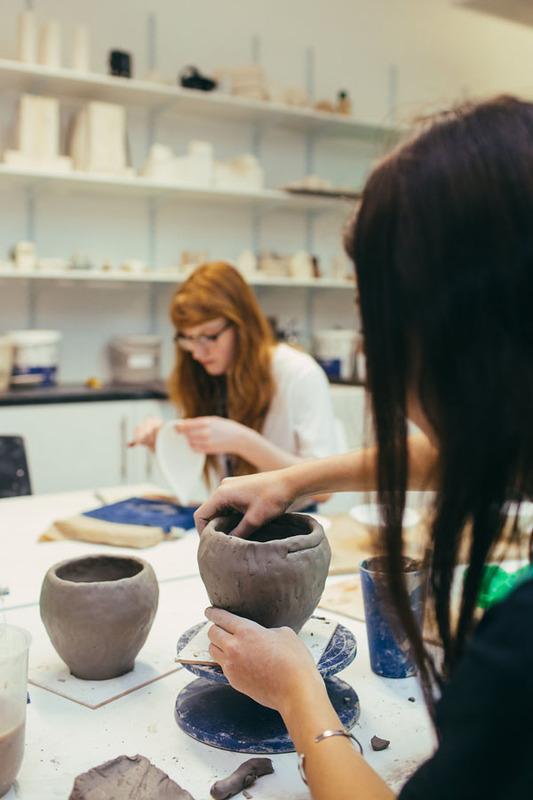 The part-time course is taught one day a week to enable you to study alongside a full-time job in practice. 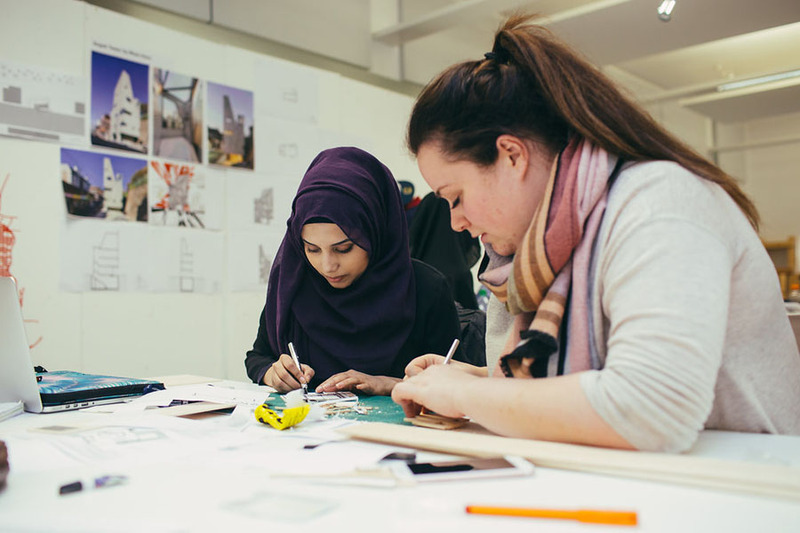 Birmingham School of Architecture and Design is highly respected and has a rich history of providing education and opportunities. It celebrated its centenary in 2009 and is located in new, multidisciplinary studio and workshop spaces in Birmingham’s Eastside. At the point of application, you must have GCSE at Grade 4 (C) or above in English Language and Mathematics. 136 UCAS tariff points from A/AS Level with a minimum of 2 A Levels. BTEC Diploma in Foundation Studies in Art and Design Distinction (285 points) plus GCE/VCE A and/or AS Levels in subjects other than art with at least one in which assessment is essay based (see A/AS-level subject recommendations above) to 55 points. Merit (225 points) plus GCE/VCE A and/or AS Levels in subjects other than art with at least one in which assessment is essay based (see A/AS-level subject recommendations above) to 115 points. Pass (165 points) plus GCE/VCE A and/or AS Levels in subjects other than art with at least one in which assessment is essay based (see A/AS-level subject recommendations above) to 175 points. Obtain a minimum of 34 points overall. Students who do not complete the IB Diploma will be considered on the basis of their IB Certificates if they achieve a total of 18 points or above from three Higher Level subjects alongside other acceptable level 3 qualifications to meet 136 UCAS Tariff Points. Irish Leaving Certificate Pass the Irish Leaving Certificate with a minimum of 136 tariff points, achieved in four Higher level subjects. This must include Maths and English Language taken at either Ordinary level (minimum grade O1-O4 (or A-C/A1-C3)) or Higher level (minimum grade H5/D1). Scottish Higher/ Advanced Higher Achieve a minimum of 136 tariff points achieved in either three Advanced Highers or from a combination of two Advanced Highers plus two Highers. Applications from international applicants with equivalent qualifications to 136 points are welcome. IELTS Minimum overall score of 6.0, with 6.0 in writing and no less than 5.5 in the remaining three skills. Obtain a total of 17 points or above from three Higher Level Subjects. Obtain a total of 18 points or above from three Higher Level Subjects. TOEFL Band scores Listening – 17. Reading – 18. Speaking – 20. Writing – 20. Pearson Band scores Listening – 51. Reading – 51. Speaking – 51. Writing – 53. Applications from mature students (+21) with alternative qualifications and/or work experience will be considered on their merits. As a minimum, applicants should have a portfolio demonstrating their creative abilities in a range of media. If you are a full-time UK student and meet the required UCAS points or are predicted to meet them you will not be required to submit a portfolio as part of your application. The following students will be required to submit a digital portfolio at the point of application. If you're unable to use the online form for any reason, you can complete our pdf application form instead. The core modules covered are Design Studio, Cultural Context and Technology. 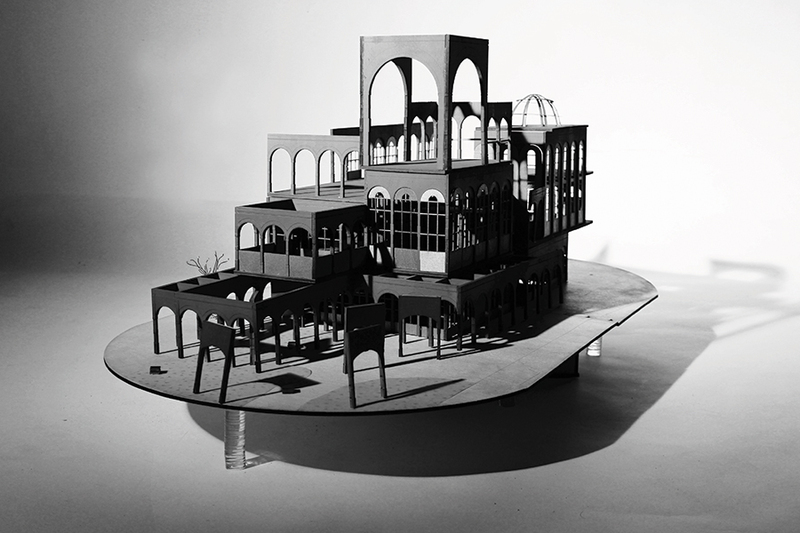 The Design Studio makes up 50 per cent of the course combining theory with practice. Our Collaborative Practice (Co.LAB) module involves you in live projects with external agencies. The Praxis module supports the delivery of key skills and experience of real-world practice. In your first year, you'll be given a broad foundation in architecture and in the context of the ‘urbanised field’, as well as the physical and ideological relationship between them. The programme is organised around principles introducing you to a range of concepts which provide the basis for your architectural education. You'll interpret the non-designed and designed environment, learning to understand the impact of environmental conditions and their relationship to construction and structural design. Digital teaching in a range of CAD, NURBS modelling and rendering packages is blended with workshops in hand drawing, presentation and graphics to enable a holistic competency in architectural communication. Blogs are used as a medium for facilitating an online collation of your work with a view to building your own online portfolio for use later. Understanding the context of technological choices is important to introducing the linkage between technology and space/form. At level 4 students are introduced to three principal strands of technology: Structures; Environment and Materials. Curriculum in these three strands is delivered in two modules that set technological developments in their historical context. 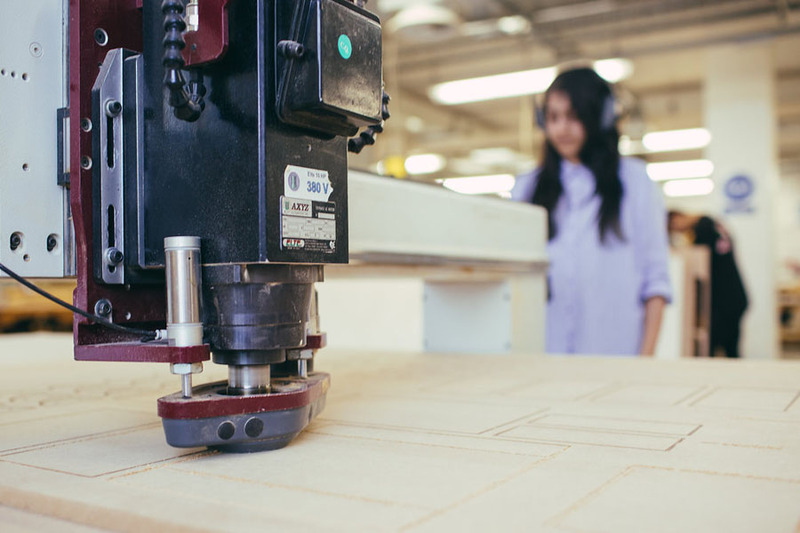 Design Projects at Level 4 are linked by the theme of ‘principles’ and form part of the broad foundation to the study of the urbanised field of architecture and the physical and ideological relationship between them. Cross-disciplinary practice is facilitated to test innovative approaches at diverse scales between 1:10000 to 1:20. This lecture series provides students with the opportunity to explore the constructed environment as a reflection of and in relationship to its cultural context, informed by the level theme of ‘principles’, through the analysis of its formal qualities and criticism. It promotes critical and analytical thinking as an integral component of design explored through a selection of precedents from the pre-modern period to explore the boundary between design practice and theory and demystify the design process. Design Resolution is the second module in the suite of design modules at Level 4 and it introduces students to the ideological, theoretical, historical and cultural context of the non-designed and designed environments. Related to the level theme of ‘principles’ the module introduces the overarching theme of modernity, examined at multiple scales: of the city, the landscape, the building and the detail. The module focuses on the pre-modern phase. It also introduces student to the discourses (terminology, texts and representations) of architecture, landscape and urbanism through reading, writing and diagramming. You’ll examine the role of policy in forming urban and architectural constructs, and the role of the architect in construction. 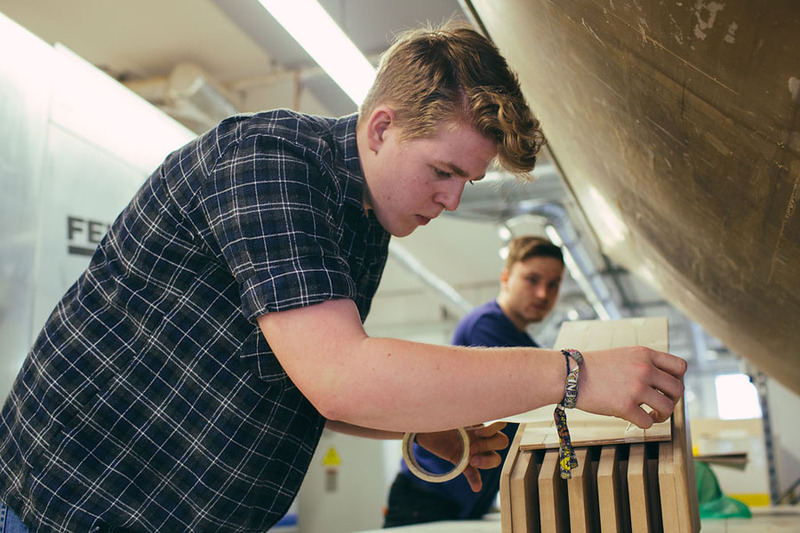 A work placement gives you the chance to experience industry, with companies such as Glen Howells Architects, Green Planning Studios, Seymour Harris and Bournville Architects. 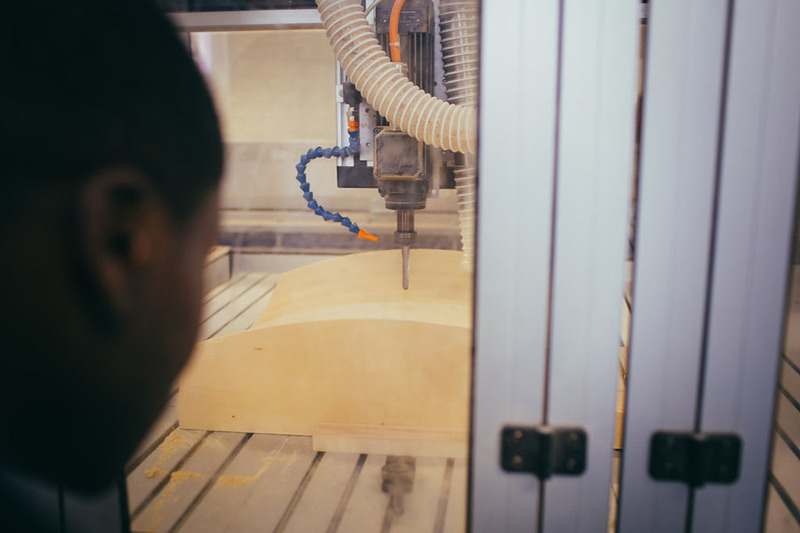 You’ll have chance to work on elective programme (Co.LAB), enabling you to engage with design and production practices across the School and external clients. Students on the architecture programme have worked with the ‘Friends of The Hayes’ to develop a bridge structure in the grounds of The Hayes – a Grade II-listed country house in Staffordshire – using timber sustainably sourced from surrounding woodland, and on a wide variety of other live projects. The theme of "process" in year two facilitates your exploration of the different forms of contemporary architecture and design practices, building on the understanding of principles achieved at year one. This module builds on Level 4 Cultural Context Modules in History of Modern Architecture ARC4010 and History of Pre-Modern Architecture ARC4013 and is linked to Design Process Module ARC5012 and Praxis ARC5011. Related to the Level theme of process the module extends knowledge of design theory. 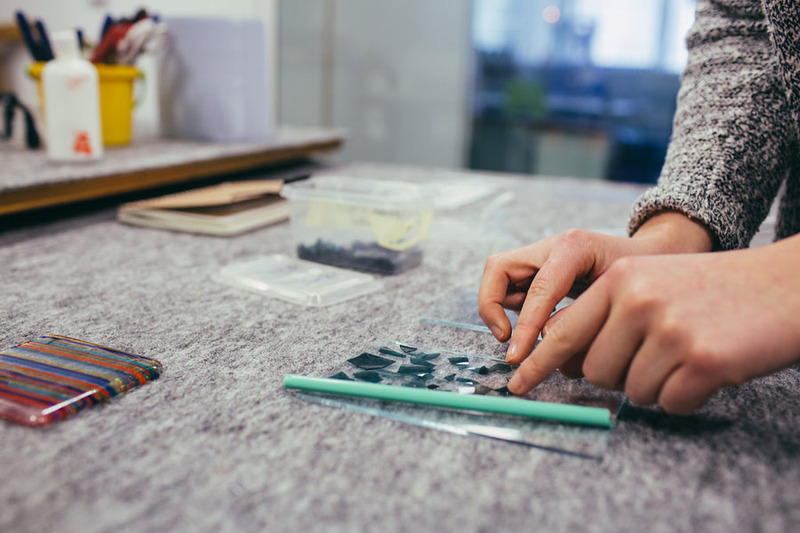 Students will engage with critical reflection on a variety of contemporary design processes, relating them to social, historical, and technological contexts. This module is relates to Design Process, and Praxis modules. The purpose of this module is to enable you to develop professional attributes and subject skills through experience in the work place or a live case study, and to critically reflect upon your learning and future options in that context. You will be assisted by the School in arranging an appropriate work-placement following completion of a proforma and an informal interview with academic staff. Typically, the placement duration is for 2 weeks. Design Projects at Level 5 are linked by the theme of process. 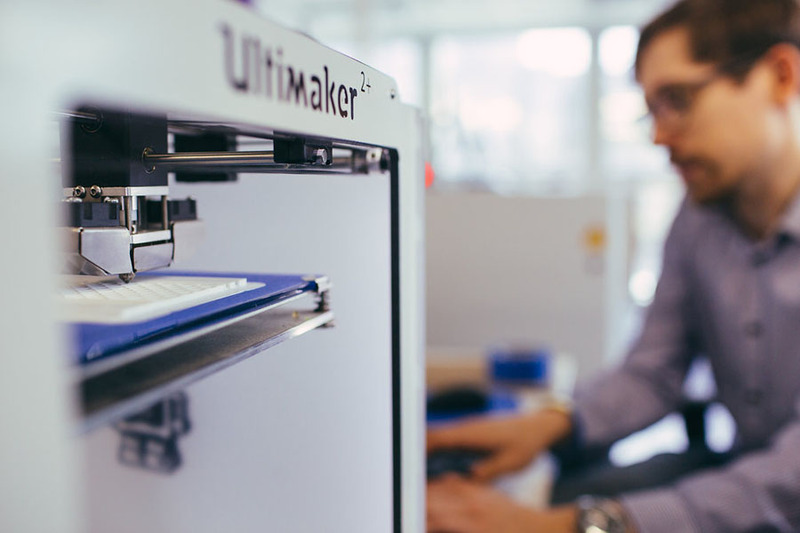 Students investigate various design methodologies, and approaches to problem solving through experimentation and documentation. The module feeds forward to Design Resolution 2. 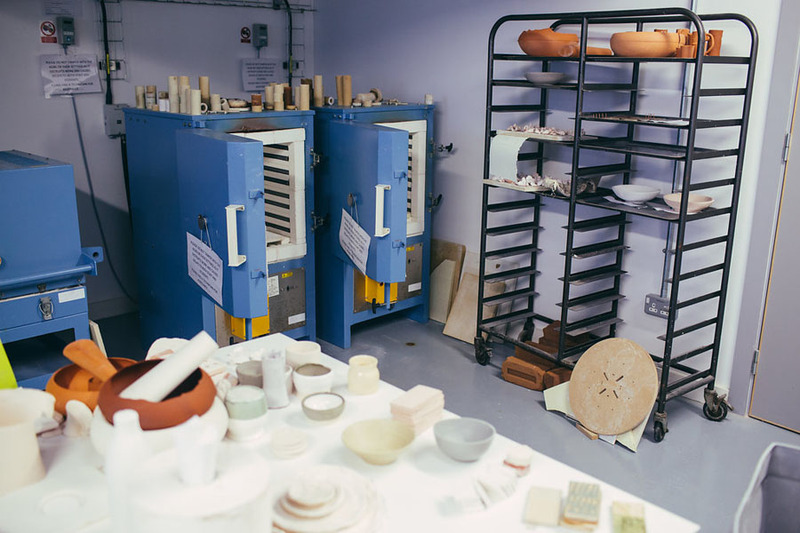 Birmingham School of Architecture and Design occupies a distinctive interdisciplinary territory between the study and practices of the creative arts and built environment professions. Links with the professional context are reinforced through alumni, through visiting tutors, through internationally renowned invited lecturers and through live research projects. 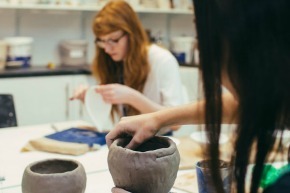 Equally, the School’s position within ADM means that students and staff are distinctly well connected to the creative scene of the city and university. Level 5 technology requires students to consider the integration of engineering systems and respond to statutory requirements. The project brief simulates a 'real world' scenario for a modest building required by a demanding client. Development of the project proposals is supported by lectures and seminars from specialists as well as design reviews. The project outputs match those commonly seen in practice in response to a Client’s request for proposals for possible projects. Relates to ARC5014 Technical Integration as projects integrate consideration of tectonics, materiality and construction; to ARC5010 Architectural Theory to absorb new ideas emerging from practice; and also to ARC5011 Praxis to engage with issues of legislation. Your final year considers the physical and cultural architectural context, focused on individual exploration of your own interests. You will look at 'dynamic cities' and the implications of new digital technologies, as well as developing and testing strategies in sustainable development and technology against architectural projects. You develop employability and entrepreneurial skills in special working seminars to prepare you for professional employment. Related to the Level theme of exploration and identity, this module traces the development of the contemporary designed environment to changes in the concept and understanding of ‘time’ and ‘space’ from pre-industrial, to industrial and postindustrial city. 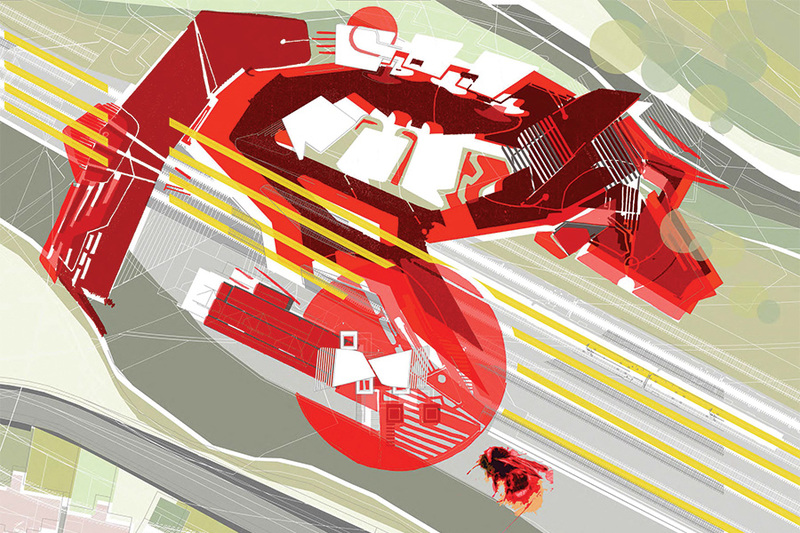 Design projects at level 6 aim to evolve the understanding of architectural context from the local to the global, at the same time looking towards cross-disciplinary practice to test innovative approaches at diverse scales of 1:1000000 to 1:1, through issues such as the study of dynamic cities and understanding the implications of new digital technologies. Strategies in sustainable development and technology will be developed and tested against architectural projects. Technology at Level 6 requires students to adopt an inquiry-based approach to their studies. This moves study away from a passive process where students receive knowledge from tutors towards an active mode of study where students fully participate in the acquisition and construction of their knowledge. 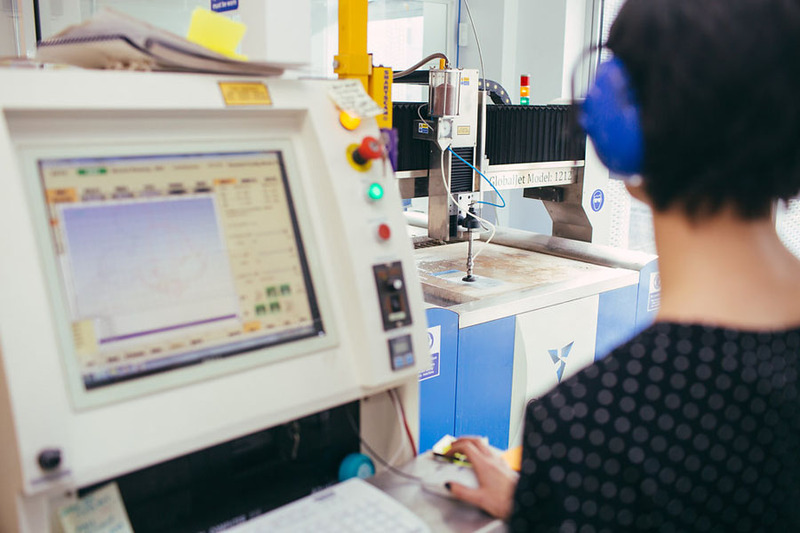 Level 6 is a crucial threshold for students who will enter the work place; graduates in practice are expected to acquire new knowledge as necessary and inquiry-based learning is an essential skill for employability. Design projects at level 6 are linked by the theme of ‘exploration’ as a formative design process and aim to evolve the understanding of architectural context from the local to the global, at the same time looking towards cross-disciplinary practice to test innovative approaches at diverse scales of 1:1000000 to 1:1, through issues such as the study of dynamic cities and understanding the implications of new digital technologies. Strategies in sustainable development and technology will be developed and tested against architectural projects. 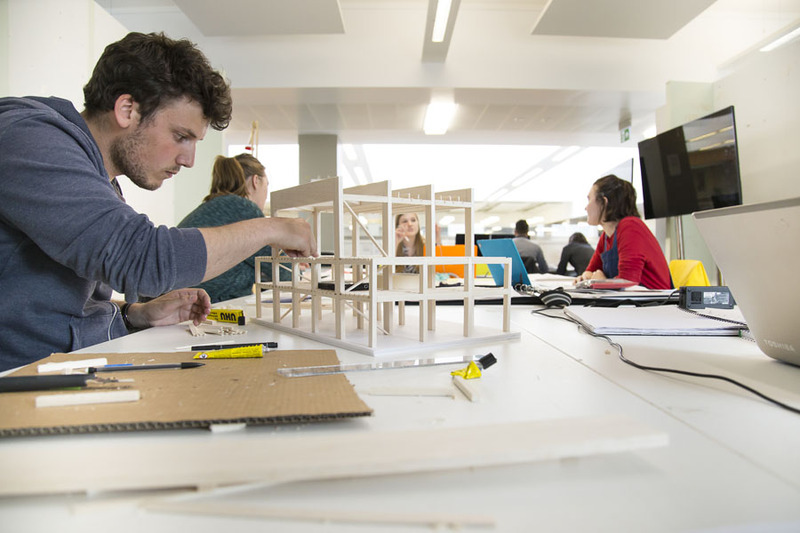 Our architecture degree is assessed on 100 per cent coursework, with no practical or written exams. We feel this best mirrors the way you'd work in the real world and so better prepares you for a career in architecture. The structure of the course supports the building of a geared architectural portfolio - providing your 'passport to practice'. 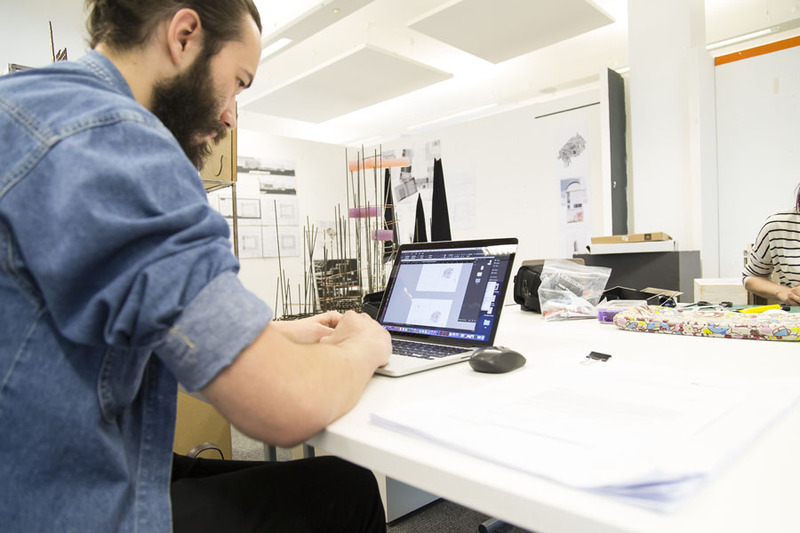 Our Architecture degree is assessed on 100 per cent coursework, with no practical or written exams. We feel this best mirrors the way you'd work in the real world and so better prepares you for a career in architecture and other associated design disciplines. The structure of the course supports the building of an individually focussed architectural portfolio - providing your 'passport to practice'. Studying Architecture part-time offers an attractive opportunity if you are looking for an alternative route to becoming a qualified architect. Part-time students attend University for one day per week. The remaining four days are spent working in a chartered (ARB) architect’s practice. This will help you to become a strong practitioner who can embrace, adapt and transform practice. 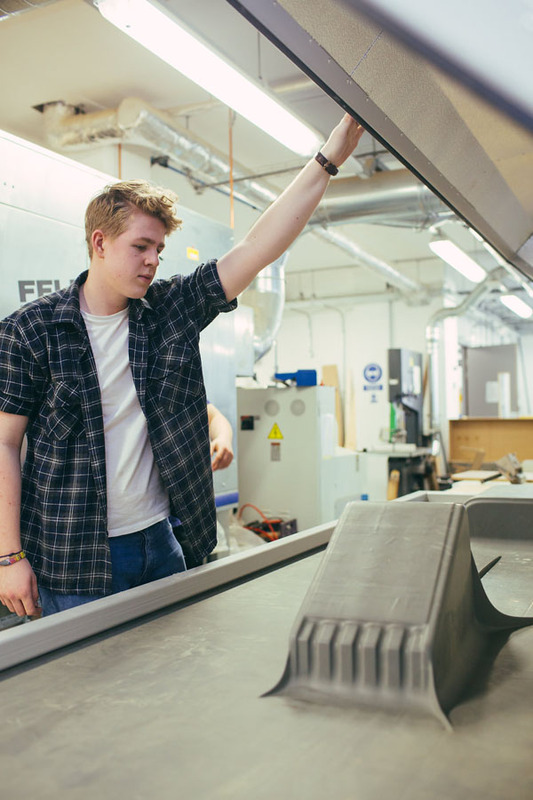 Students visited aluminium manufacturers Ash and Lacy, where they were tasked with designing and producing aluminium models for the entrance of our brand new Birmingham Conservatoire. 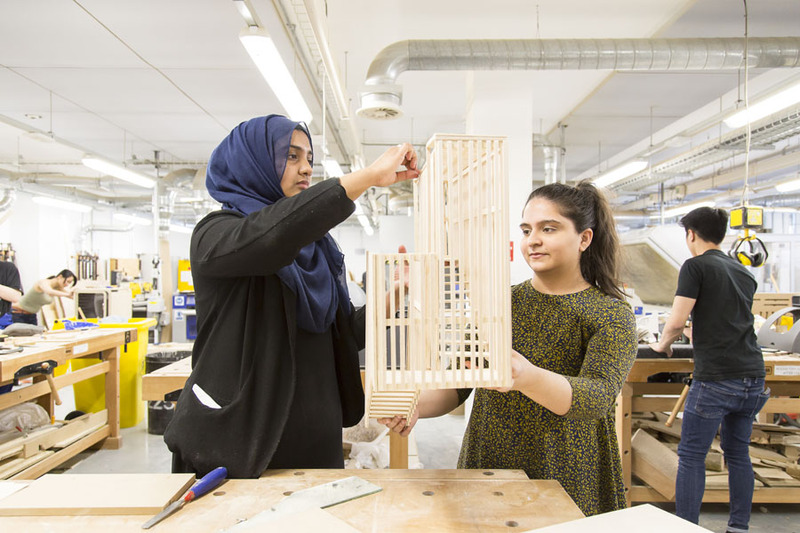 With a team of supportive staff, you will feel part of the school and begin shaping your career in architecture and allied professions from the first year. The choices you make will ultimately influence the type of architect or designer you become. As a School, we place a significant focus on encouraging and developing the individual skills our students have. From first year you will participate in engaging, creative projects to help you understand the basics in design and drawing. With an emphasis on building confidence, enjoyment and getting to know you, this is a great entry point for you to start constructing your architectural career. Our Co.LAB projects directly engage the school, its staff and students both within and across their disciplines of architecture, landscape, interiors and product. We use the city of Birmingham as a laboratory to test ideas, prove concepts and deliver real projects for the 21st century. In your third year, you have the opportunity to make informed choices about your final projected facilitating the development of your own interests. Our course is accredited by the Royal Institute of British Architects, allowing you to achieve RIBA Part 1 exemption. This offers you distinct support when applying for placement in practice. RIBA is a global member organisation, with 44,000 members. It champions better buildings, communities and the environment and provides the standards, training, support and recognition to put members at the peak of their profession. Our accreditation shows employers that students graduating from our course have the levels of knowledge and skills they need. They are an independent, public interest body and their work in regulating architects ensures that good standards within the profession are consistently maintained for the benefit of the public and architects alike. "Working in such a creative bubble spurs on creativity and provides a wealth of inspiration for your own work. There are so many artistically genius minds around to ask for her and advise, great atmosphere/environment." As a graduate of the course, you'll be encouraged to apply for employment as an assistant in architectural practice and, on completion of your year out, will be invited to apply for the Postgraduate Diploma in Architecture (RIBA Part 2 exemption). We also offer a Postgraduate Diploma in Architectural Practice (RIBA Part 3 exemption), giving you the opportunity to undertake your entire architectural education at the School of Architecture. A majority of your design projects will be located on live sites, meaning regular trips to various locations will become an integrated part of the design studio modules. Study trips at all three levels of the BA programme are often linked to design projects or inform research activities. These provide a very important part of your learning and understanding, building knowledge and skills for interpretation of sites and buildings - locally, nationally and also further afield. Elizabeth is an Assistant Architect at Axis Design Architects Ltd in Birmingham. She got the job part-way through her degree, working during her final summer at university, part-time through her final year and started full-time when she graduated. I enjoyed being in close proximity with other Art and Design based subjects and the colourful and inspiring environment with students' work regularly displayed. I liked the evening lectures with visiting speakers and practitioners that the School of Architecture put on in association with the Birmingham Architectural Association. 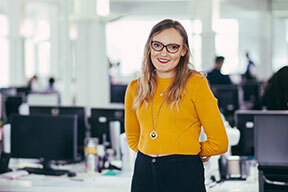 As well as being a practising architect at APEC Architects, Holly now also tutors second year BA (Hons) Architecture students at the School she graduated from. The 28 year-old from Birmingham now finds herself bridging the “gap between academia and practice” having also acquired Chartered Membership status at the Royal Institute of British Architects (RIBA). Throughout my architectural education, the School has gone from strength to strength. It’s a School that prides itself on its supportive, diverse and bespoke approach, which has had a huge impact on my career prospects and development. The course gives you a full understanding of the role of an architect and the creative flair and technical skills needed to succeed. You'll understand sustainability, technical and cultural issues and the challenges of expanding the urban environment. You'll develop a comprehensive portfolio that shows employers a range of skills in design practice and academic study. You'll develop a range of transferable skills, such as how to communicate ideas and solve problems, as well as developing negotiation and planning skills. And thanks to the unique nature of the course, you’ll learn how to work effectively and efficiently either on your own or as part of a team. 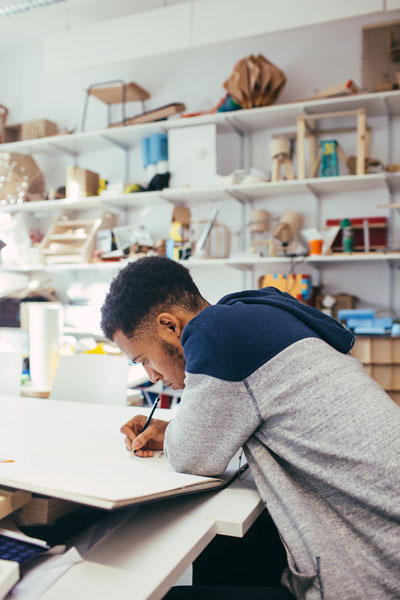 Your skills will be in demand - architecture, building and planning courses are one of the top 12 degree subjects for getting a job according to a recent article in the Telegraph. 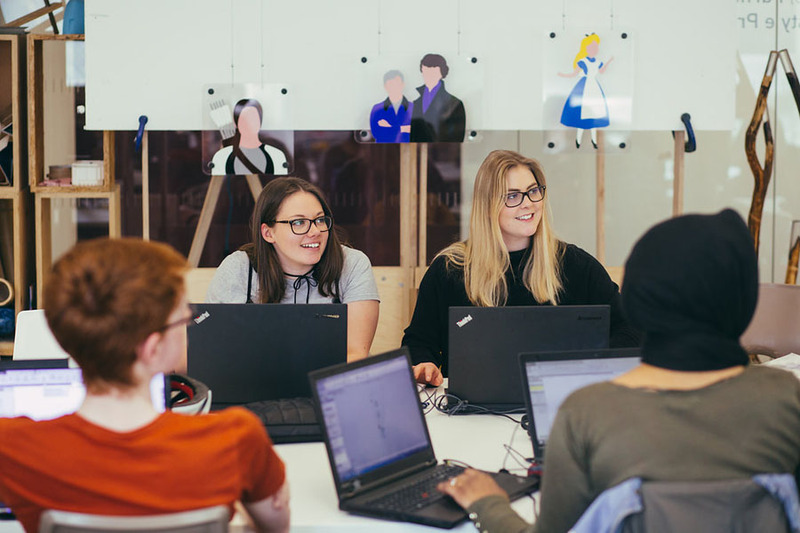 As part of our commitment to developing the essential skills required as part of the BA (Hons) Architecture programme, we have continued to develop the two-week, assessed work placement scheme at Level Five. The placement is part of the PRAXIS (Management Practice and Law) module and takes place towards the end of the academic year. Over the past three years we have had more than 100 practices taking part in the scheme, providing great diversity in terms of scale, philosophy, sectors and location. This has Included placements being secured with many nationally and internationally-renowned practices such as Michael Hopkins and Partners, MAKE, Grimshaw Architects, Hawkins Brown, Populus, Gensler, Glenn Howells Architects, Associated Architects and many others. 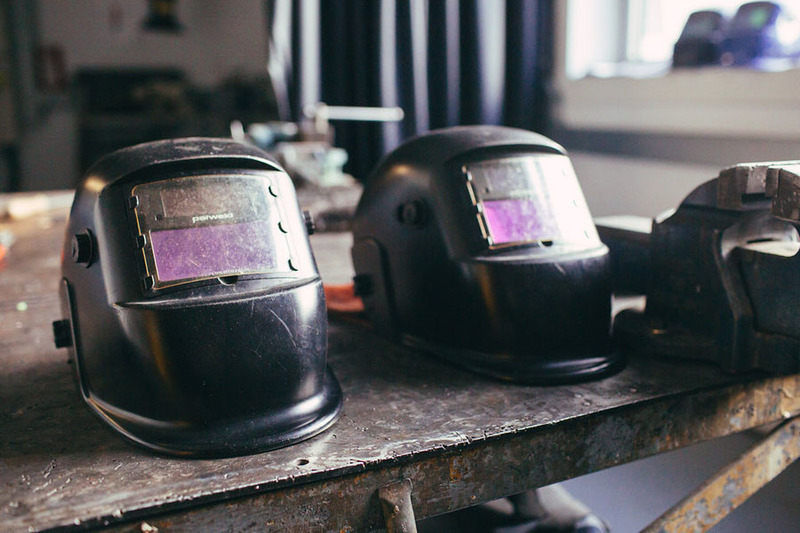 While on placement, practices are encouraged to provide you with a wide range of activities, including meetings, site visits and design reviews, as well as developing additional CAD and graphic skills. Many students are successful in gaining summer paid work in practices as a result of the placement. A love of design, as well as being impressed with the facilities and work displayed at our Open Days, inspired Charlotte Taylor to study Architecture at Birmingham City University. Strengthening her skills with a placement at Glenn Howells Architects, she now plans to stay the course and graduate as a fully-qualified architect. “I have been interested in architecture from an early age – I remember when I was 11, when I moved house I drew a to-scale floor plan of my bedroom and designed where I wanted everything to go. Alongside that, I’ve always loved art and design just as much as maths and physics, so a combination of all three made Architecture the perfect choice. 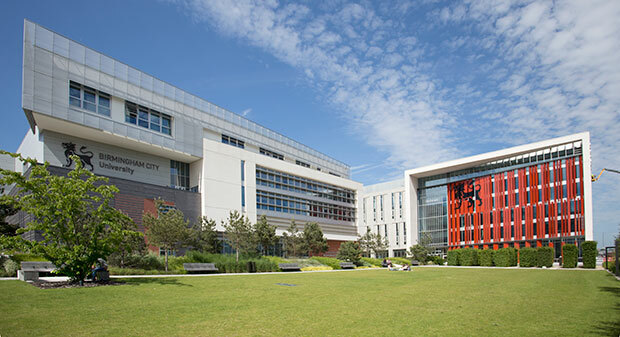 “I chose Birmingham City University as when I first visited, I felt totally at home and very comfortable. None of the other universities I visited had an atmosphere like the University has, and you could tell the Birmingham School of Architecture and Design was extremely proud of its students. “As part of our Praxis module, we had to take part in a two-week placement, which I think is a great idea, as not many other universities offer this. I worked at Glenn Howells Architects, designing a reception space for a student accommodation building in Selly Oak. I think going on a placement allows you to get a taste of what it’s like to work in practice, as well as helping you determine what sort of practice you want to go into. 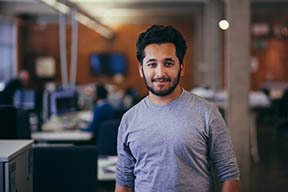 With a love of art, design and technology, studying BA Architecture was an easy decision for Abdul Azeem. 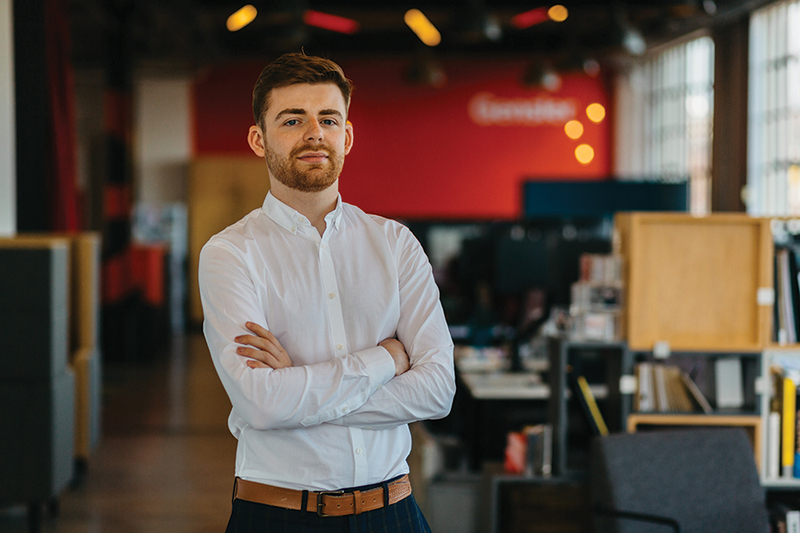 In his second year, he’s enhanced his skills further by undertaking a work placement with Birmingham-based D5 Architects, getting a first-hand glimpse into how an architecture practice works. 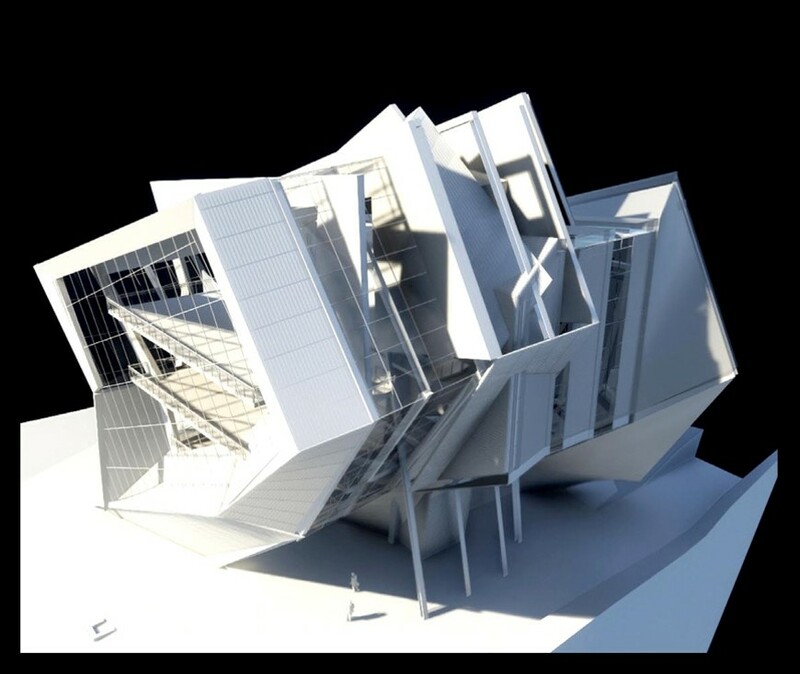 “I chose Architecture because of my passion for art and design, as well as a love of technology in buildings. 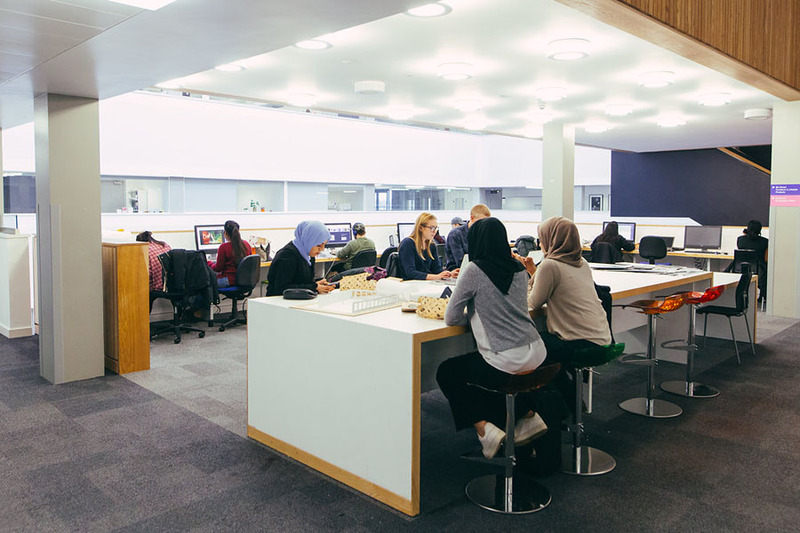 I chose Birmingham City University because of the wide range of services available, such as the workshops and IT spaces. I am local to Birmingham, and I’d definitely recommend students from around the world to come study here, as it’s very educational and welcoming. “I had the opportunity to undertake a work placement, thanks to the help of my tutors. Working at D5 Architects, the placement was amazing – seeing how my colleagues would interact in a professional environment was incredible. While there, I helped my colleagues with projects such as photo shopping certain renders, researching materials or information, and model making. I definitely feel like I have gained a lot from being in the placement, such as presentation quality, time management and confidence. 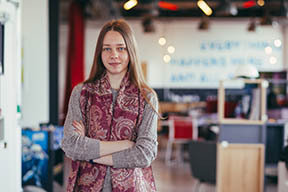 Originally from Russia, Tatiana Pachina wanted to study in the UK due to the recognition a UK-based education receives. Electing to study at Birmingham City University due to its renowned reputation, BA (Hons) Architecture student Tatiana has recently completed a placement with Birmingham-based architectural practice Gensler, gaining vital first-hand experience. “I decided to study Architecture in the UK for several reasons. Firstly, a UK education is recognised by employers and governments all over the world, and secondly, studying in the UK would give me an opportunity to improve my English, and meet people from different countries and cultures. I came over to study from Russia in 2012, and it took some time to get used to my new surroundings. If you’re an international student considering studying in the UK, my advice would be to talk, make new friends and be active in university life. “The course has enabled me to improve my drawing skills, graphic design, model making and ability to gather some architectural knowledge. In addition, I have gotten much more confident when it comes to presenting my ideas to others. “I recently enjoyed a work placement with Gensler, which has been the best part of my second year. It was a great opportunity to see how architects and designers work together in real life, as well as allowing me to get a feel for working in the architecture industry. With Gensler employing a small staff, it gave me chance to talk to all of them and find out what projects they were working on. Ben Derbyshire is the Managing Partner of HTA Design LLP, a multidisciplinary firm of 120 architects, graphic designers, planners, landscape architects, web designers and sustainability consultants. 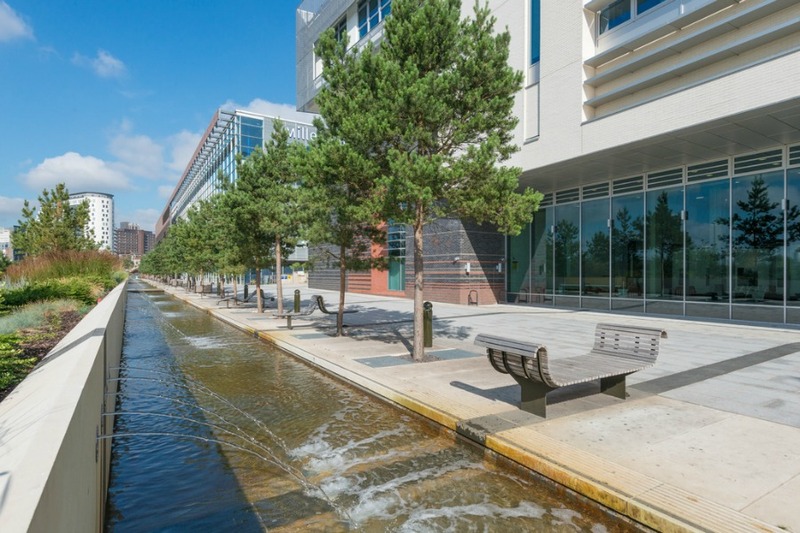 Examples of his practice’s notable projects, both in the UK and abroad, include Greenwich Millennium Village, Waterport Terraces in Gibraltar, the redevelopment of Queen Elizabeth's Children's Hospital and the South Acton regeneration project in London and Hanham Hall zero carbon community in Bristol. 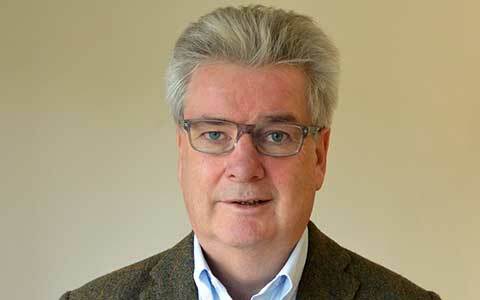 Chief Executive Officer of global architectural practice DP Architects Francis Lee has worked all over the world on multi-million pound projects. 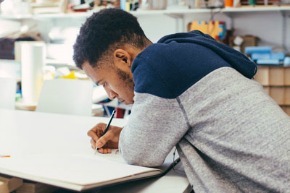 Graduate Yinka Danmole set up his practice, Danmole Design Studios and now works on commission based projects with local organisations. 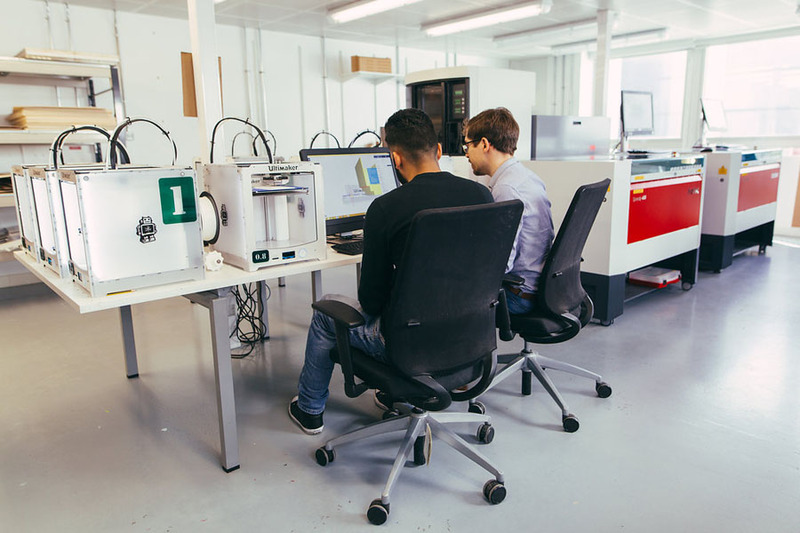 Also setting up their own firm are architecture graduates Mohamed Rahouma and Shamil Chauhan who launched an independent design studio called 'Backpack Studio 'based in Manchester. 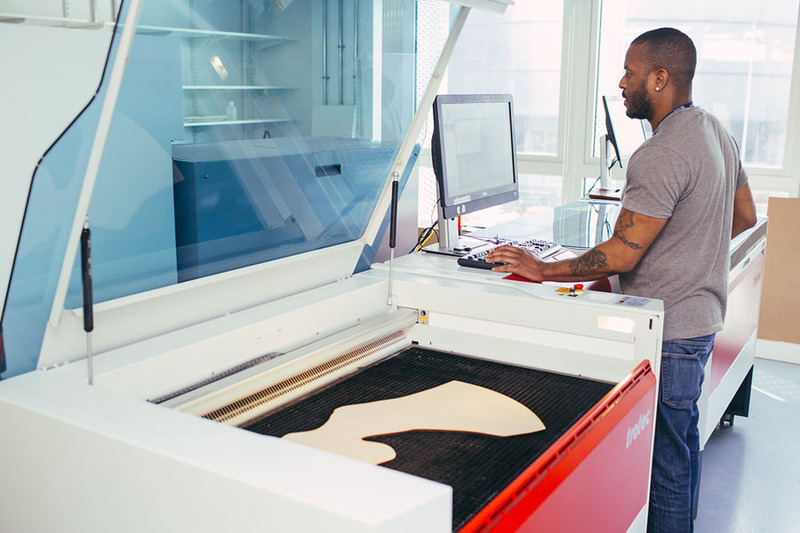 You’ll learn how to use industry equipment and software including rapid prototyping, CAD and digital production. Your observational and technical drawing techniques will be developed, along with other key skills. We have a diverse community of students from all over the world. Our international reputation, professional accreditation and outstanding graduate success rate attracts students from a variety of countries including Brunei, Kenya, Malaysia, Russia and Singapore. Scholarships available for international students. Requirements:£2,000 if a 1st degree holder £1,500 if a 2:1 if a 2:1 degree holder £1,000 if a 2:2 if a 2:2 degree holder £500 if a if a 3rd degree holder. In a teaching career spanning 20 years, Kevin has taught on undergraduate and postgraduate courses across both Architecture and Interior Design, and has also been a course leader for both BA Interior Design and M.Arch Architecture. In 2000 Kevin co-founded the space studio, an RIBA Chartered design-led practice, with Interior Designer Tony Kerby. The practice undertakes new build, refurbishment, and interior works across a number of sectors. Clients include the English National Ballet, Manchester City Football Club, HMRC, Tesla cars and Birmingham City University. His Professorship was conferred under the categories of Learning and Teaching and Academic Leadership, having introduced a number of initiatives relating to the blurring of the relationship between academia and practice, and for a proven track record of transforming the success of courses that he has led. He was awarded a National Teaching Fellowship in May 2015. Kevin is heavily involved in the Royal Institute of British Architects, sitting on RIBA National Council, RIBA Education Committee, as well as Chairing RIBA validation panels to Schools of Architecture in the UK and abroad. He is a Board member of Dance XChange and an external examiner at London South Bank University. Studied architecture at Kingston and the Architectural Association. Worked in architectural practice for 10 years, public and private sector. Founded art practice / project Art in Ruins with Glyn Banks – exhibitions, published critical writing, curating, teaching. Founding Chair of association of architectural educators. Victoria is the Programme Director and has led the year 1 cohort for over 7 years. Extremely experienced in her discipline, Victoria is a qualified Architect and was chartered with the ARB following the completion of her studies at the University of Nottingham. She has worked in practice, both as the director of her own architectural practice and also as an employee of practices in Nottingham working in variety of different sectors. She has also worked with the fields of facilities management, BIM, occupancy planning, architectural visualisation and interior design. Victoria is incredibly passionate about architectural education and it is this that led her into teaching in 2008 where she began working as an academic at the University of Lincoln and Nottingham Trent University. During her time as an academic, Victoria has developed networks with organisations working in USA, and South Africa, which have provided her with the opportunity to both teach a number of times in the USA and also collaborate on numerous international projects and research activities. Victoria is also one of the founding members of the aae (association of architectural educators). 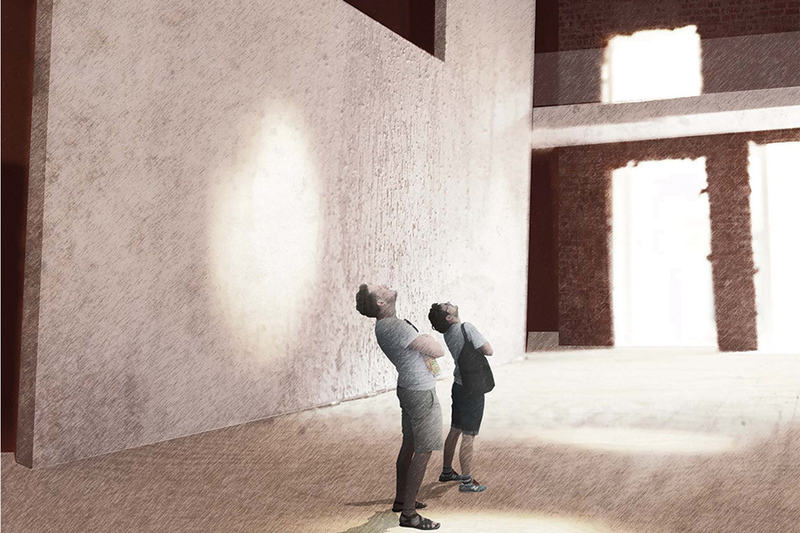 Alessandro is a Senior Lecturer at the Birmingham School of Architecture and Design. He also co-established and leads the Collaborative Laboratory (Co.LAB) a teaching intiative and organisation within the school that integrates teaching with practice through live projects, staff research/design and external consultancy. Prior to joining the university, Alessandro worked in architecture and research practices in Manchester and London, with experience in evidence-based design and historical refurbishments. 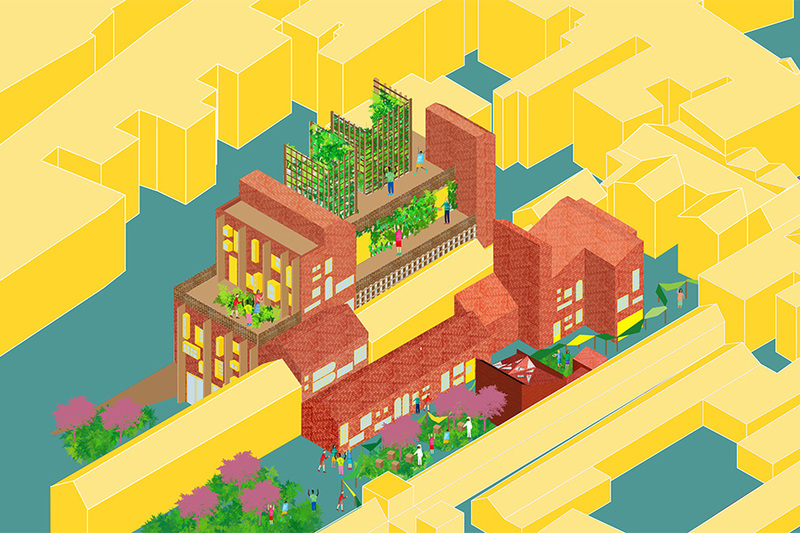 He graduated from the Manchester School of Architecture with a distinction in both postgraduate architecture and MA Urbanism prior to developing his portfolio as an independent artist/designer. As anviere, a self-identified design guise, Alessandro has developed a portfolio of site-specific installations and artworks commenting on the subversive qualities of our physical environments. 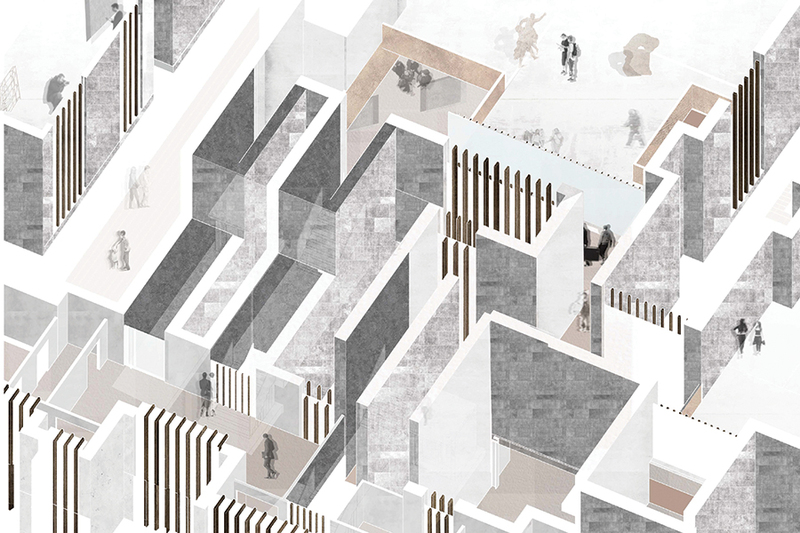 Alessandro brings these characteristics forward to his teaching as an academic and researcher; taking an active role in the discussion of architectural pedagogy, urban theory and the contemporary vernacular. It is applied by engaging in the city’s cultural network through an ongoing process of collaborative practice. I hold a part-time post as Lecturer in Structural Design at the Birmingham School of Architecture and Design, Birmingham City University. My initial focus is to provide Structural Engineering input into the Technology curriculum of both the undergraduate BA (Hons) Architecture and postgraduate M.Arch Architecture. In my role, I combine my experience of working as a practicing Structural Engineer with my personal interest in low-energy buildings. Through working with students in lectures and tutorials, I seek to pass on my knowledge and experience so that they can develop another perspective on what contributes to good architecture. 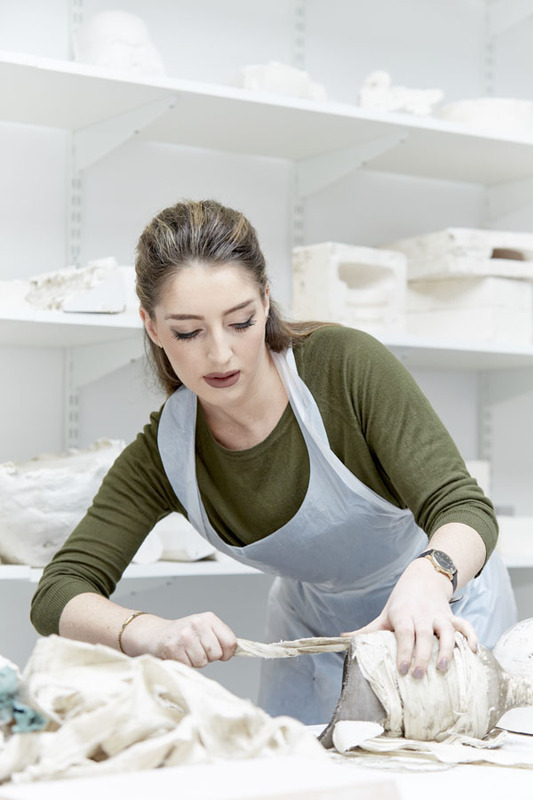 Jemma teaches history and theory of Architecture across many of the courses in the School, as well as tutoring in the architectural and interior design studios at undergraduate and postgraduate levels. She is currently completing her Doctoral research ‘Spatial Representations of Memory and Identity in the City’. Her research examines how post-industrial cities in the UK are spatially transformed through time by the layering of new and existing expressions of cultural identity; in particular as a result of postcolonial migration. 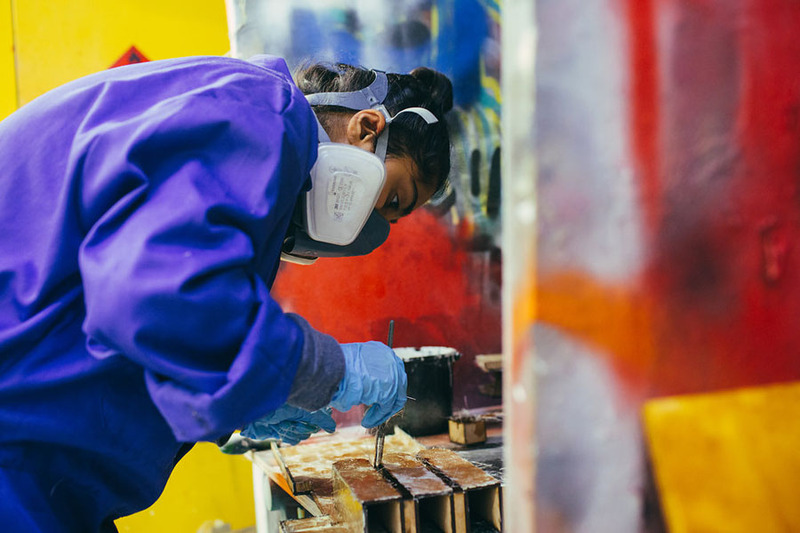 The project seeks to understand the role that the collective memory of post–colonial diasporic communities plays in the formation of the cultural identity of space within UK cities. Christian Frost qualified as an architect in 1990 following the completion of his studies at the University of Cambridge. He worked in practice, at home and abroad for over ten years before becoming a full time academic in 2001, when he began to research the history of the foundation of Salisbury which has resulted in the publication of his book Time, Space and Order: The Making of Medieval Salisbury (Peter Lang, 2009). 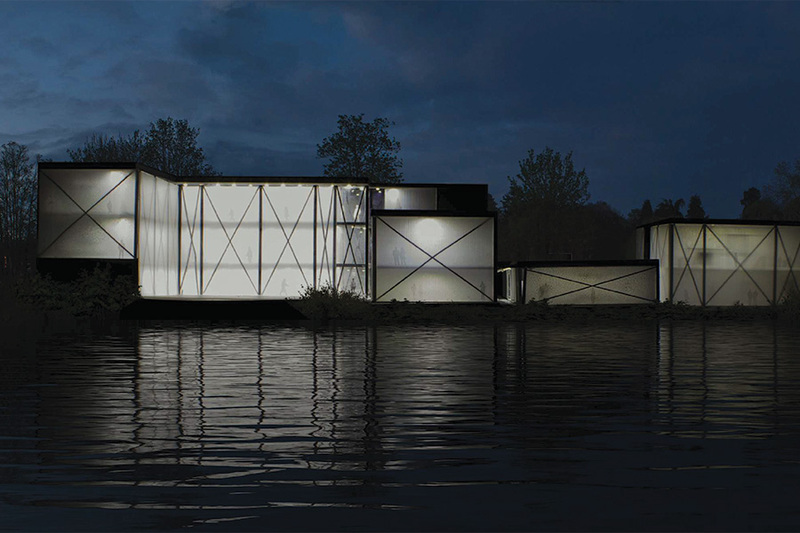 His student work has been published and was exhibited in London, Frankfurt, Berlin and Prague, and he has worked in Australia, Germany and the United Kingdom on projects ranging from commercial offices and domestic properties to highly specialised Arts projects. In 1992, after two years in practice, he returned to Cambridge to read for an M.Phil. in the History and Philosophy of Architecture concentrating on the architectural continuity which underpinned the transition from the classical to the Christian world. He then worked in Berlin as a part of a team winning several competitions before returning to the UK where he became project architect on the ARC Arts Centre in Stockton-on-Tees, taking the project from sketch designs through to final completion. Following the completion of the ARC, Christian set up his own practice working on private dwellings, sports facilities, schools and housing proposals. In 2013 he became the Oscar Naddermier Professor of Architecture at the Birmingham School of Architecture taking responsibility for the delivery of history, theory and cultural context throughout the school, whilst continuing to teach design on the MArch course. Ian Shepherd is the course leader within the School of Architecture. He integrates teaching with practice through live projects, design, research and consultancy. Prior to joining the university, Ian was a partner in a local architectural practice for more than 20 years, with experience in design and delivery of community, education and leisure projects. Michael is an architect, senior lecturer, MArch programme director and researcher at Birmingham School of Architecture and Design. He brings seven years of professional practice to the role, and is involved in a number of research projects and groups spanning architecture, urbanism, art and design, and ecology. Jieling is a qualified Architect and Designer and makes contributions on most of the programmes associated with the the Birmingham School of Architecture and Design.Jieling believes passionately that designers need to consider more than just how the hardware of architecture functions for its users. Jieling is particularly interested in theories and the creative practice of place-making and environmental design that interprets and plays with people’s sensory experiences, particularly in relation to soundscape and smellscape. Harriet Devlin MBE currently runs the Conservation of the Historic Environment programme. Harriet worked in Northern Ireland for 10 years where she championed vernacular buildings and received the Europa Nostra Award for the Mourne Homesteads project. She received a Winston Churchill award and has been a passionate advocate of ‘A stitch in time saves nine’ preventative maintenance for many years. Harriet has large amounts of experience of fundraising for projects, and has coordinated Townscape Heritage initiatives as well as building preservation trusts. She was awarded an MBE in 2014 for her services to the Historic Environment. Lucas Hughes holds qualifications in landscape architecture and urban design. He has a broad range of interest and experience within several professional sectors linking across the built-environment industry. His core focus is to promote high quality, integrated, design-led processes for the creation of characterful and sensitive built environment solutions.